Here’s the Summary for July 25, 2014 (for previous summary, please see Summary for July 24). 1. The SBU [Security Service of Ukraine] released records of talks by the little terrorist leaders that testify to the fact that Russian artillery shells the positions of Ukrainian security forces on the territory of Ukraine at the request of insurgents. About the fact that Russia is killing our boys not only with the hands of their mercenaries in Donbas, but also the hands of soldiers and officers of their own army, we did not have the slightest doubt. Now I’m talking about something else. At one time, as cadets, many of the Russian commanders studied at the same companies–battalions (or troops–divisions) at the military schools together with the boys from Ukraine. Then they served together. It amazes me how one must lose the slightest notion of an officer’s honor, [for them] to feel full impunity and continue to kill yesterday’s “comrades,” who are protecting their land, meanwhile working closely with criminals and terrorists. These are not officers–these are scumbags. Just like their vile Commander-in-Chief Putin. 2. 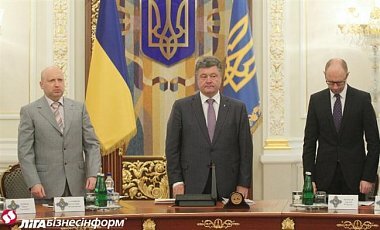 Yesterday’s events in the [Ukrainian] Parliament, which also hurt the government, will lead to no good. On its agenda­ are the most current changes in the state budget in the context of the ATO, the need for dialogue with international partners in the economic and political spheres. An issue with a “fully-fledged” Prime Minister is in fact up in the air, and so is the issue with an operational Parliament. I think given the supercomplexity of the current situation, parliamentarians could have taken a wiser approach to the Parliamentary re-elections. The NSDC [National Security and Defense Council] has announced that the anti-terrorist operation will continue, despite yesterday’s events in the Verkhovna Rada and the government. This is understandable. The only question is, who now needs any additional difficulties–don’t we have enough of them already? 3. 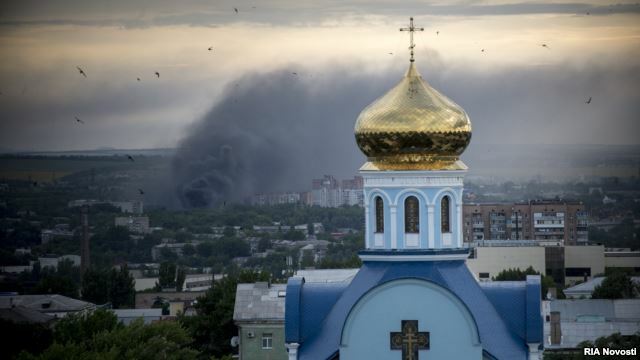 As a result of armed clashes, the residents of Donetsk and Luhansk keep getting killed. Civilians die in other localities as well, but with the beginning of hostilities in these regional cities, the threat has grown exponentially. The population density is too large, and the crazed pro-Russian militants are feeling too bloodthirsty. 1. Our [troops] approached Horlivka [Donetsk Oblast], and the scouts managed to hang the Ukrainian flag on the outskirts of the city. Earlier, significant insurgent troops descended on Horlivka. Terrorists are well aware: the liberation of the city opens up the road to Donetsk for the ATO forces, thus creating conditions for its full blockade. And this will be the last nail in the coffin of the infamous Moscow project entitled, the “DNR” [Donetsk People’s Republic]. 2. After a [lengthy] warm-up and considerable procrastination, the EU is nevertheless moving towards a third round of sanctions against Russia. Today, Brussels officially introduced sanctions against another 15 officials and 18 Russian companies because of the situation in Ukraine. This is a continuation of the same old flower-giving which the Kremlin is clearly not scared of. But we are still waiting for the worst [sanctions] to come. Today, British Prime Minister David Cameron called for the introduction of austere economic measures rightly justifying it by the fact that “this is the only language that Russia understands.” In Germany, radical steps are also being discussed. [We] hear plentry of correct and beautiful words, [we] are waiting for deeds. 3. The National Council for Radio and Television Broadcasting has banned the broadcast of Russian TV channels “RTR-Planeta,” “NTV World,” “Russia 24” and “TV-Center Іnternational” in Ukraine. P.S. 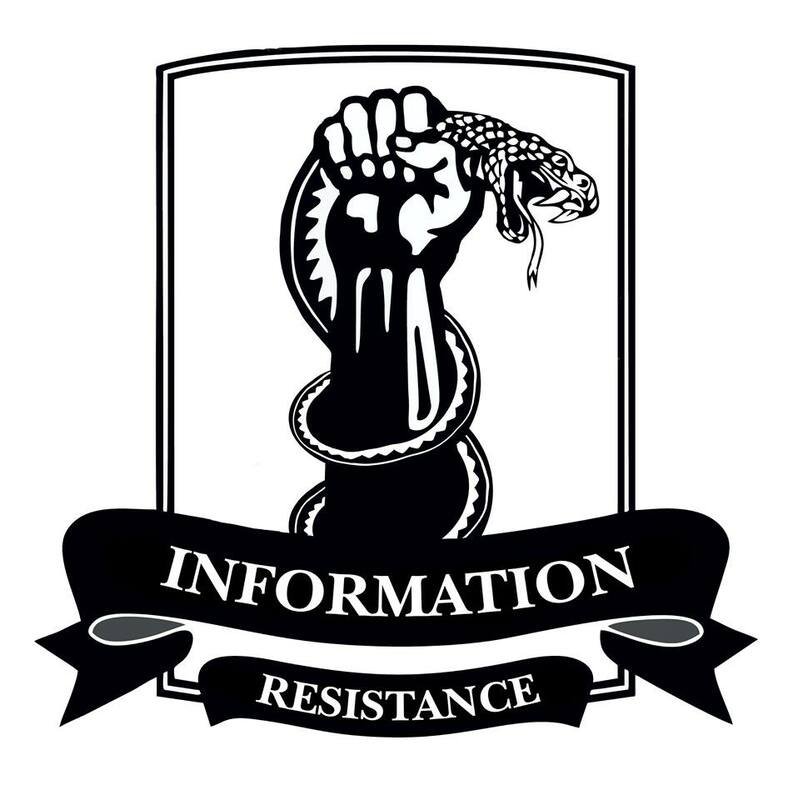 Incidentally, regarding the informational warfare. We, the IR group, have decided to disable comments on our website sprotyv.info. We are short on manpower to clean out the comments, and the dominance of Moscow trolls (both the amateur fools and the obvious pros) is through the roof. That’s on top of the daily site attacks. Friends, please understand [our position]. Let’s argue with the enemy after the war is over. This entry was posted in Dmitry Tymchuk, English, English News, News summary, South&Eastern Ukraine, War in Donbas and tagged #RussiaInvadesUkraine, #SaveUkraine, #ukraineprotests, ATO, Dmitry Tymchuk, Donetsk, EU, Horlivka, Information Resistance, Luhansk, National Council for Radio and Television Broadcasting, Ukraine. Bookmark the permalink. Thanks for the ongoing and welcome reports. BTW, that last link (sprotyv.info) is bad and needs to be edited to point to the correct URL. JC: Thank you for the kind words and for the link alert, it’s been remedied now.